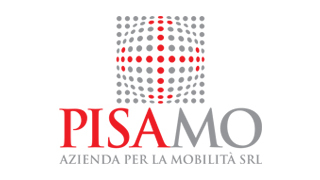 Practical, technological, innovative, Pisamover is a totally automated model of urban mobility, electrically powered to reduce to the minimum the energy and environmental impact. It falls within the APM (Automated People Mover) typology; it is cable driven, has no onboard driver, and is controlled by a central control room. The two operating trains travel on the same railway, which splits in two next to the intermediate station to allow them to meet and cross in total safety. Each train consists of three cars and is connected to a dedicated towing cable going to and fro between the terminal stations. The operation, totally automated, is controlled by an operator in the Central Control Room, wherefrom the system can be managed in different operating modes and in total flexibility. Pisamover is equipped with devices designed to guarantee the maximum safety, and the trains are equipped with LED screens that provide service information and the timetables of trains and planes. Pisamover guarantees the respect of sound emissions, night and day, according to the law limits set by Pisa’s civic noise classification. Pisamover has two park’n’ride car parks. The Aurelia car park, partially covered has an overall capacity of 765 parking spaces, of which 20 for people with disabilities. The Goletta car park has an overall capacity of 508 parking spaces, of which 5 for people with disabilities. The parking covering is provided with photovoltaic panels.